For more information please visit the website for the event. Don Mattingly is a MLB baseball first baseman, coach and manager. Mattingly was the manager of the Los Angeles Dodgers for 5 years. Nicknamed “The Hit Man” and “Donnie Baseball”, he played for the New York Yankees during his 14-year playing career, emerging as the Yankees’ starting first baseman after a successful rookie season in 1983. Mattingly was named to the American League (AL) All-Star team six times. He won nine Gold Glove Awards, three Silver Slugger Awards, and was the 1985 AL Most Valuable Player. Mattingly served as captain of the Yankees from 1991 through 1995, when he retired as a player. Al Hrabosky is a former Major League Baseball player from 1970-1982 for the St. Louis Cardinals, Kansas City Royals and Atlanta Braves and is currently the color commentator on Cardinals regular season broadcasts on FSN Midwest. Following his playing career, he has provided color commentary for Cardinals games since 1985 and has been with Fox Sports Midwest since 1997. Hrabosky also hosted his own radio show on KFNS 590AM in St. Louis.Hrabosky’s nickname is The Mad Hungarian because of his unusual last name and colorful character. Sports Speakers 360 is a booking agent for pro athletes. 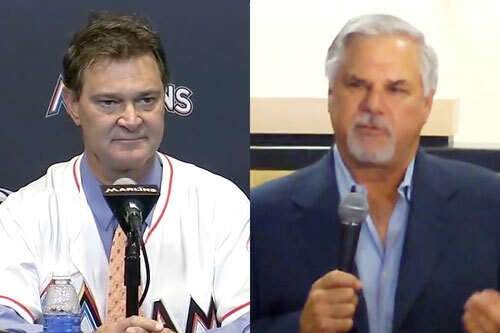 If you would like to book Don Mattingly or Al Hrabosky for a speaking engagement, appearance or endorsement, contact a Don Mattingly or Al Hrabosky booking agent for fees at 1.855.303.5450.